Holland is this year’s perfect family holiday destination. 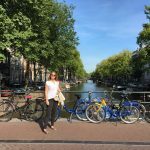 Besides wandering along the 17th century Amsterdam canals or visiting the Van Gogh Museum, there’s plenty to do and see in the Netherlands that you simply won’t find anywhere else. To celebrate the diverse and historical cultural landscape of Holland, we’ve collated our top 5 attractions so that you can get a taste of the real Holland. Efteling is Holland’s best-kept secret. Situated in North Brabant, not far from the Belgian border, Efteling is a fairytale-themed amusement park surrounded by magical woodland. This unique theme park has been around for over 60 years and boasts a magical fairytale forest, filled with our most-beloved fairytale figures, and excellent rollercoasters for the daredevils in the family. 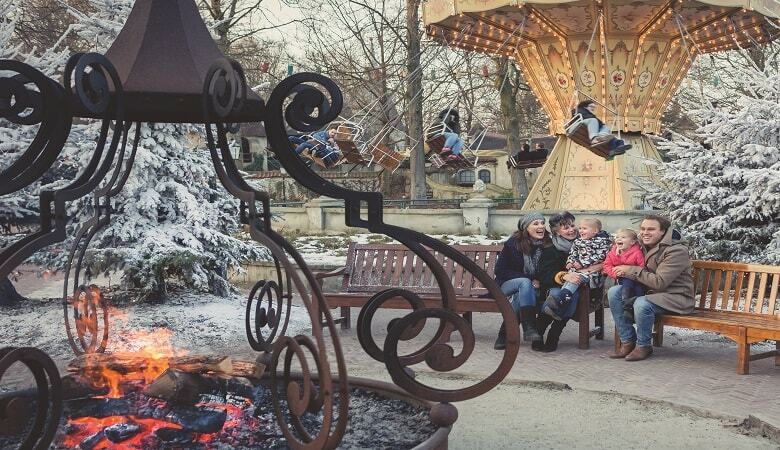 Visitors to Efteling can stay in the magical holiday park Efteling Village Bosrijk, surrounded by rich-woodland and characterised by a friendly and enchanting atmosphere. Everybody knows that Holland is famous for its tulip fields, but the Keukenhof takes this experience to a whole new level. Each Spring, there are over 7 million bulbs in bloom with a jaw-dropping total of 800 tulip varieties. The Keukenhof consists of 32 hectares and includes breathtaking flower shows, inspired gardens and entertaining events. 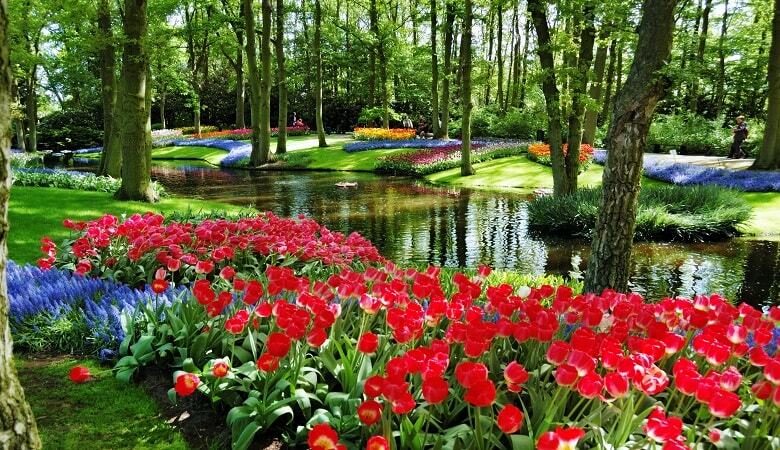 The Keukenhof is situated in Lisse, a charming town in the western Netherlands with plenty to do and see, so you can make a real day trip of your visit to these beautiful gardens. Stay in a holiday park nearby and enjoy a memorable day out with the family. Remember, the gardens are only open during Spring, so make sure you visit when the sun’s shining and the flowers are in bloom. It’s hard to believe that this tiny village in North Holland really exists without seeing it with your own eyes. This old-world village founded in 1230, has no roads at all. 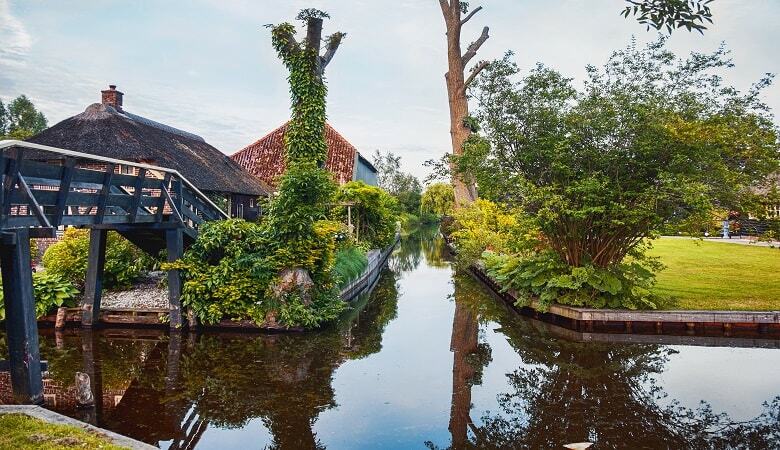 With small pavements bordering the beautiful canals, Giethoorn residents travel exclusively on foot, bicycle or boat. There is plenty to do in this quaint little village. Rent a boat and sail through the many idyllic waterways, rent bicycles and explore De Weerribben-Wieden National Park and spend the day in the lively city of Zwolle. Have a look at our holiday parks near Giethoorn and enjoy your stay! The Wadden or Frisian Islands are a North Sea archipelago off the coast of the Netherlands. The unique landscape is unlike anywhere else in the world, characterised by nature-rich dunes, wild horses, beautiful forests and tidal flats. The five islands above the Dutch coast, Texel, Vlieland, Terschelling, Ameland and Schiermonnikoog, each have their own distinct character and still keep much of their historic island charm. You can visit the many pubs serving the delicious local cuisine, admire the famous lighthouses along the coast and try out one of the many water sports activities on offer. What’s more, you can easily rent bicycles on the islands and enjoy the extensive network of cycling routes. Enjoy the peaceful nature in this distinct rural setting with a holiday in the Wadden Islands. Last, but certainly not least, is the fascinating village of Kinderdijk in South Holland. 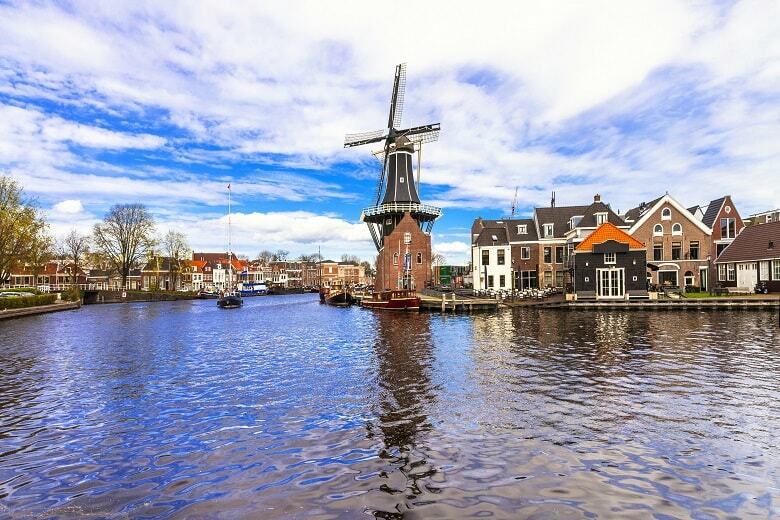 With a collection of 19 authentic windmills, this village is distinctively and decidedly Dutch. Since 1997, Kinderdijk has been a UNESCO World Heritage site due to its unique character and historical import. This system of windmills, build to drain the polder, has been around since 1740 and retains its old Dutch charm. 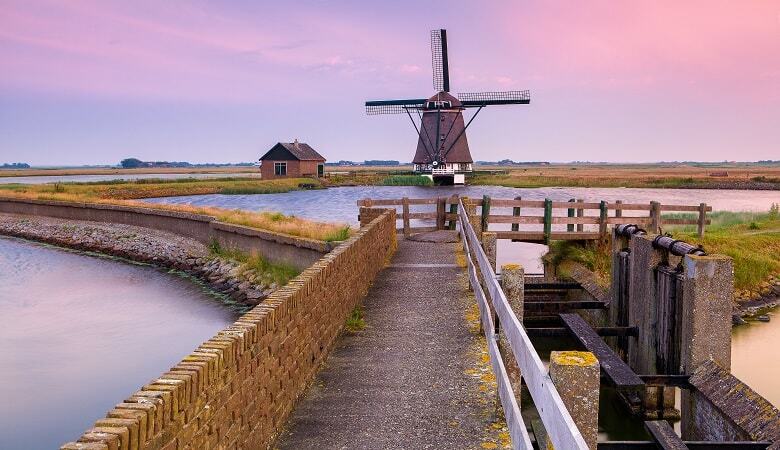 You can enjoy one of the many cycling or walking routes through Kinderdijk, meet the friendly miller and find out exactly how windmills work and even take part in a windmill workshop! 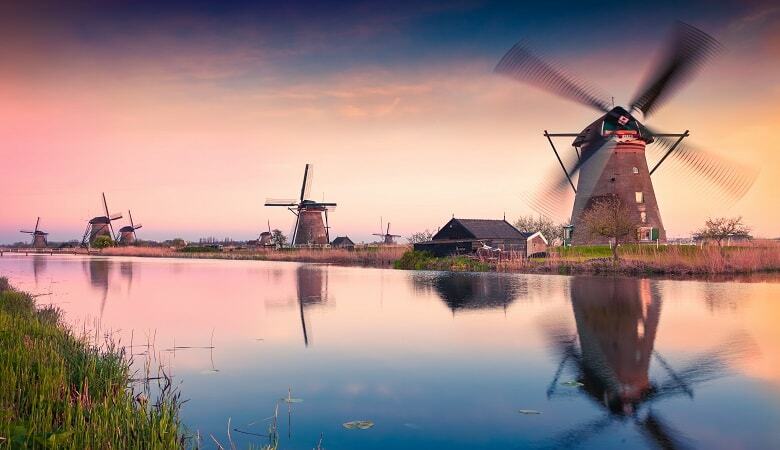 Visit one of our holiday parks in South Holland and enjoy a unique day out in Kinderdijk. Looking to Book Your Next Holiday Park in Holland? As you can see, there’s a lot more to Holland than Amsterdam, clogs and cheese. Are you keen on finding out more about these attractions? Have a look at our holiday parks in Holland and book your next family getaway!